This is made possible through smart fabrics. Smart fabrics are textiles with embedded electronics that bring computing power even further from our devices into everyday items. This technology poses new challenges for designers. Not only is the form factor very different from screen devices, it is right up against the user’s skin. This is an interesting topic for me. While I have done design work with smart watches, wearable integration and for the Internet of Things (IoT) devices, I haven’t worked with smart fabrics yet. So I reached out to people in the community who have more insight than I do, and asked for their thoughts to share in the future of this technology. This is more of a forward-looking piece than my usual experience-reports, so I will likely get some of it wrong. However, a lot of you have been asking me to weigh on on this topic. Furthermore, the low impact, high value principles behind designing for this technology are important to take into account as we move forward. We might have a limited window of opportunity to get it right. In my last article on wearables Designing For Smartwatches And Wearables To Enhance Real-Life Experience, I wrote about designing experiences that integrate smartwatches and activity trackers. I mentioned that we have two futures for technology: in one, we are distracted away from our real-world experiences, increasingly focused on technology and missing out on what is going on around us; in the other, technology enhances our life experiences by providing a needed boost at just the right time. Understanding good distractions as well as unwelcome distractions are vital to consider when you are designing for something that you will have right up against your skin for hours at a time on a daily basis. With smart fabrics, we have even more potential to cause harm by distracting people from their lives, or to bring even better by using powerful technology to enhance our real-life experiences. As I spoke with people who design with smart fabrics and similar technology, a common theme emerged: smart fabrics aren’t quite there yet for mass market applications. There are some niche players leading the way, but nothing has captured a significant mind share. That’s because it’s difficult to bring computing and electronics, power sources, sensors and wireless connectivity to fabrics without making them bulky, impractical, and expensive. However, a lot of great organizations with brilliant people are working hard to create reliable, cost-effective smartfabric technology, so the day will arrive soon. When it does, those of us who are technology designers will be designing digital experiences that are completely different from the screen experiences we are accustomed to. It’s important to understand that we are designing a digital experience that supplements a user’s real-world experience. “Smarts” refers to computing power and electronics that makes sense of data, and supports inputs and outputs into the system. “Connectivity” allows us to get information from the thing onto smartphones and other devices. It is one thing to have a wearable that measures or allows for inputs and outputs, but if it can only work by itself and not communicate with other computers, it has limited value. Sensors, smarts and connectivity depend on power sources to operate, which means they need batteries to make them work. IoT devices provide visibility and control into just about anything we can stuff technology in. Paul Hanson, CEO of IoT technology company bbotx points out that they “help create enhanced situational awareness.” In other words, IoT devices can help us extend our own capabilities by providing visibility and control into our environments, our interactions with other people and systems, and within ourselves. For example, health monitoring with wearable IoT devices can provide constant flows of data so the wearer can make better health decisions. With IoT technology, this insight is also available to health experts. What was once a sporadic activity – that required an appointment, specialized equipment and expertise – can now be an ongoing, continuous activity. These systems provide a degree of insight into a patient’s day to day conditions that was impossible before. Patients get visibility into their current condition at any time, and experts can closely monitor changes and recommend treatment options. 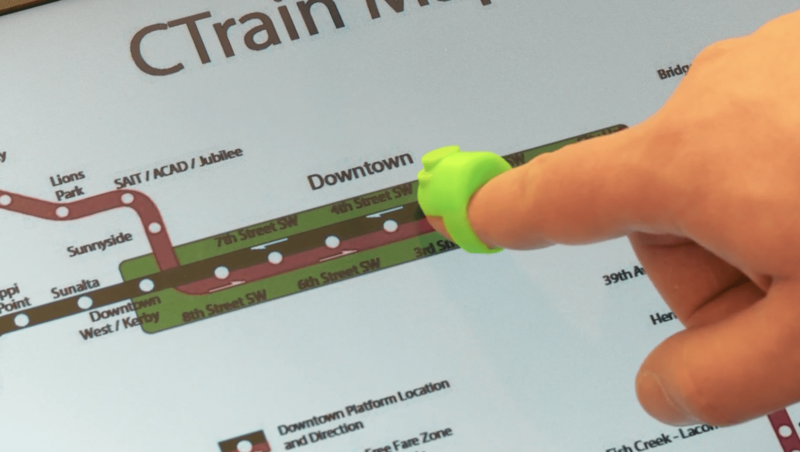 Tactalis uses magnets to guide users with vision loss to locations on the tablet, It incorporates the use of touch. Doug Hagedorn, CEO of Tactalis describes two different kinds of smart fabrics: passive and active. Passive smart fabrics are designed towards monitoring and gathering information to for use within a system. Active smart fabrics react immediately to stimulus in the environment and may change physical aspects such color, shape or their digital behavior. Passive smartfabrics have enormous potential in areas such as health and fitness, while active smartfabrics could reduce the need for multiple articles of clothing that have one particular purpose and design. As technology advanced further, we moved beyond natural resources and started making synthetic fabrics. Today, textiles are sophisticated combinations natural, synthetic, mineral and other materials. We take them for granted because they are all around us, and the complexity is hidden from us. The choice of material when designing clothing or other textile goods brings with it different strengths and weaknesses for warmth or cooling, comfort or sturdiness, and care when dirty. 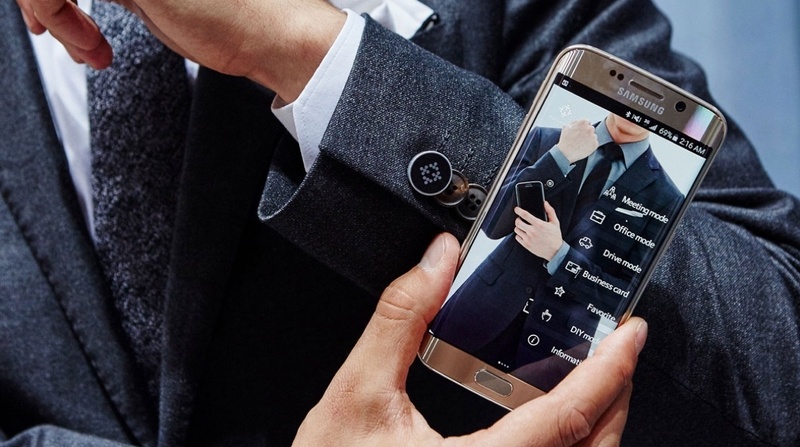 Part 2 of this 3 part series, Jonathan Kohl will look at smart fabric design potential.